Learning to play the guitar or bass can be so much fun. It can be quicker, easier and way more enjoyable than you’d think! We try to encourage our students to play a few songs on the guitar from their very first lesson! This gives them confidence that they can achieve their goals right at the start of their journey. Our Lessons start from just 4 years old and your never too old to start ! The growth of our school amongst primary school pupils tells you all you need to know about the quality of our lessons. We realise that every child is unique. They are all motivated in different ways. 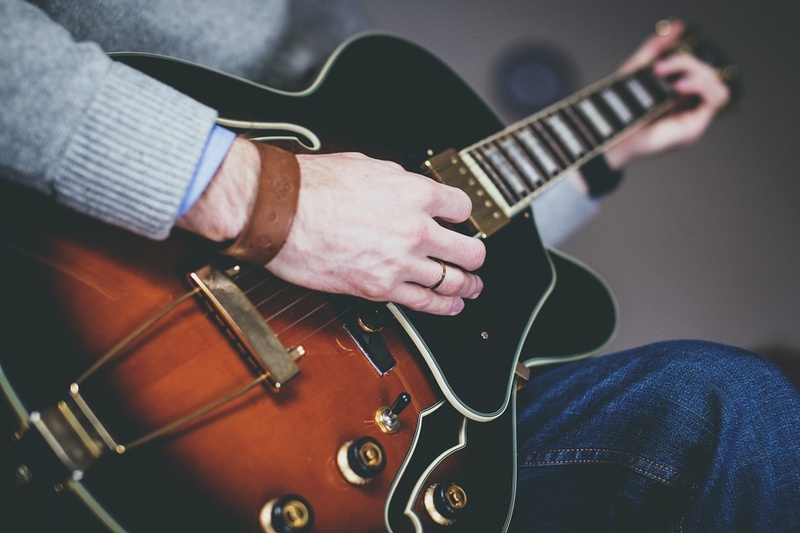 Our job as a School of Music is not just to teach the technical aspects of playing guitar but to encourage and praise our pupils and help them to grow in confidence as they move forward. Pupils are welcome at any stage to move towards taking exams and getting official grades. We recommend this especially for our teenaged and adult students. For these students we offer the Rock & Pop Syllabus from the Trinity College of London. Trinity’s groundbreaking Rock & Pop exams for Bass, Drums, Guitar, Keyboards and Vocals provide an opportunity for rock and pop musicians to gain accredited qualifications through performing carefully chosen and arranged songs across the rock and pop genres. When completed, your grades are accepted by UCAS as points to go towards your higher education.